The limits of fifteen-year-old Kambili's world are defined by the high walls of her family estate and the dictates of her fanatically religious father. Her life is regulated by schedules: prayer, sleep, study, prayer. 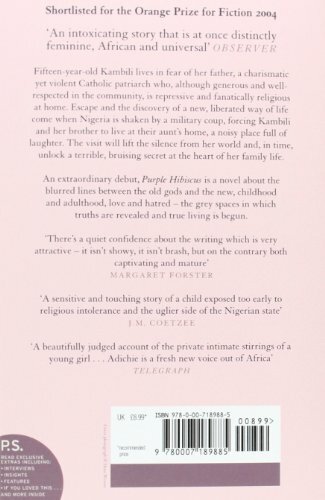 When Nigeria is shaken by a military coup, Kambili's father, involved mysteriously in the political crisis, sends her to live with her aunt., In this house, noisy and full of laughter, she discovers life and love - and a terrible, bruising secret deep within her family. 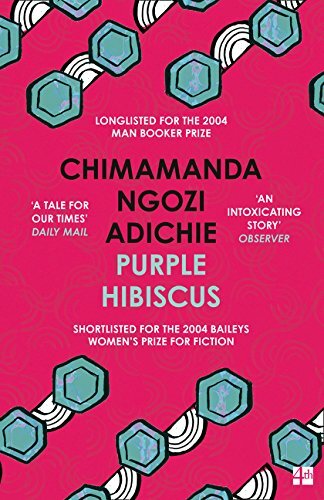 This extraordinary debut novel from Chimamanda Ngozi Adichie, author of `Half of a Yellow Sun', is about the blurred lines between the old gods and the new, childhood and adulthood, love and hatred - the grey spaces in which truths are revealed and real life is lived.